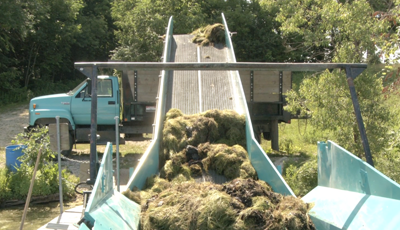 Inland Lake Harvester's shore conveyors allow harvested materials to be easily transported from either our harvester models or shuttle barge into your waiting truck or trailer for final removal. 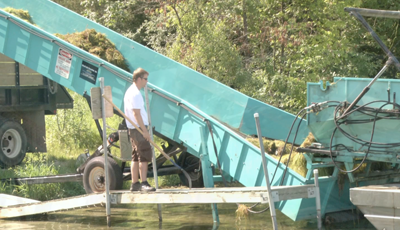 Setting up the Shore Conveyor is a snap with our hydraulically actuated landing gear, enabling you to move to different locations quickly and to complete your harvesting job efficiently. 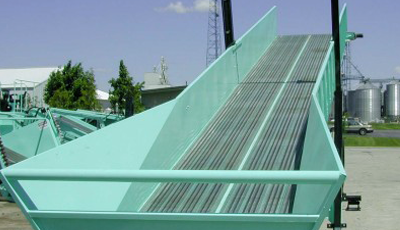 Each conveyor is built to match an individual harvester model. © 2010 Inland Lake Harvesters, Inc.
Disclaimer: Specifications for all equipment are subject to change; please consult our staff for the latest production information.